Scia Engineer 15 - Did You See This? 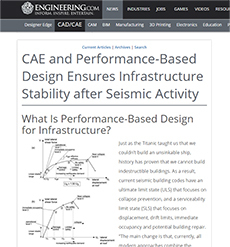 Displacement-based design is a major advancement in structural design compared to traditional strength-based methods. But while most software consider inelastic behavior explicitly using the conventional point-hinge approach, SCIA Engineer introduce a more modern fiber element approach allowing engineer a way to deal with complex shell elements (walls and cores) which are impossible using point hinges. Find out for yourself how SCIA Engineer can help you! Request a free trial of SCIA Engineer 15.